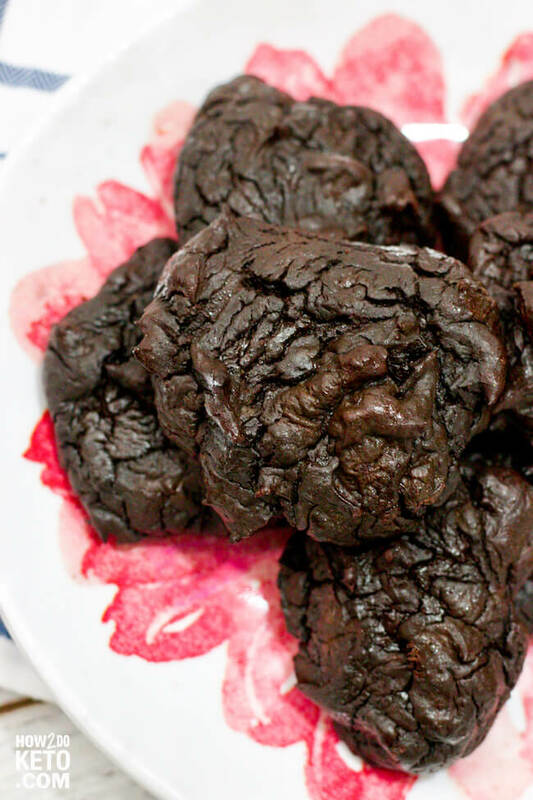 We started making these Chocolate Avocado Cookies years ago – they taste so rich and decadent that you almost feel like you’re splurging! 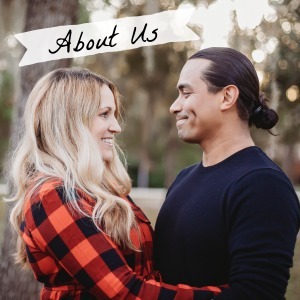 When we started eating keto, I asked my husband (the chef in the family) if he could make a keto version of my favorite healthy cookies. 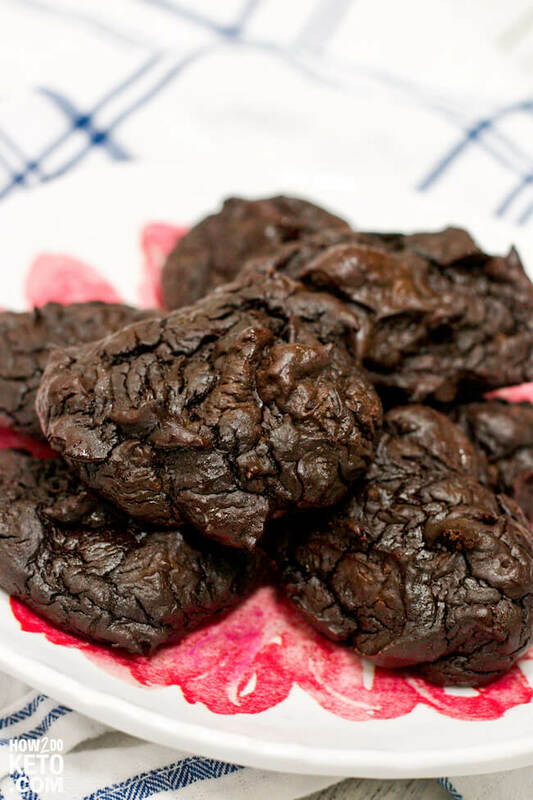 With only one simple switch, our favorite chocolate cookies are now keto-friendly! And they taste just as fantastic!! No joke…they literally melt in your mouth! With treats like this, we don’t feel deprived at all! Related: For another decadent keto chocolate treat, try our Keto Mint Chocolate Pudding too! 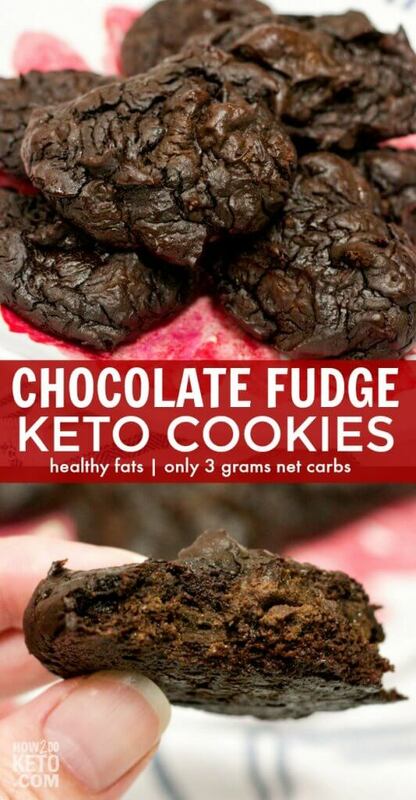 For your convenience in re-creating our Keto Chocolate Cookies recipe at home, we’ve included shop-able ad links to some of the products and supplies used. Read our disclosure policy here. 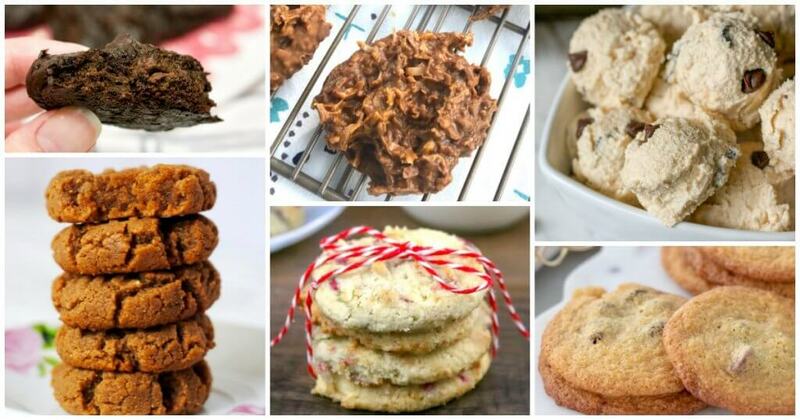 The above is a quick glance at the ingredients and tools needed to make Keto Chocolate Cookies. Full ingredient amounts are available in the printable recipe at the bottom of the post. Chocolate chips are optional, but I love to add a handful for even more fudge-y flavor! Make sure to look for chocolate chips that are sweetened with stevia or another low carb sweetener. 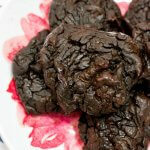 We love these Lily’s Dark Chocolate chips! Store your chocolate keto cookies in the fridge in an airtight container for 2-3 days. You can also freeze them and they should keep for up to a month. 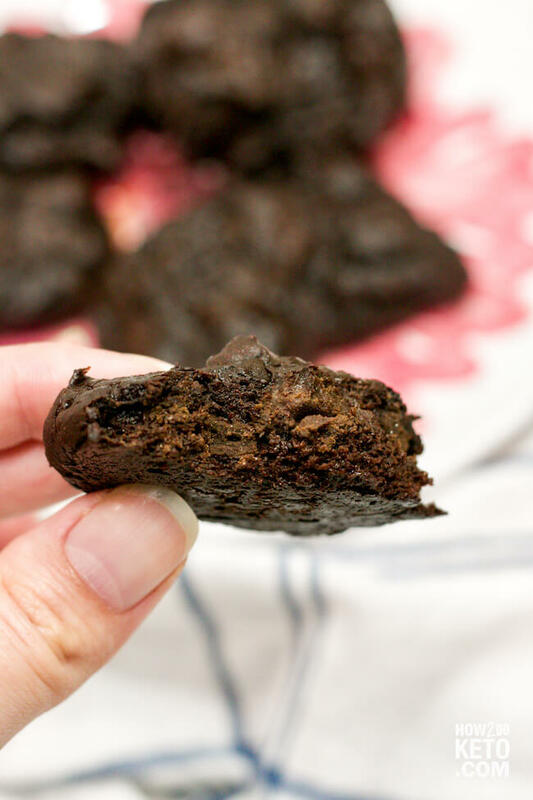 These decadent keto chocolate cookies taste so rich and amazing that you'd never guess they're actually GOOD for you! Combine all ingredients (except chocolate chips) in food processor and blend until smooth. If using chocolate chips, stir in by hand. Spoon onto a baking pan covered with a sheet of lightly-greased foil, or non-stick silicone baking mat. We use about a tablespoon of batter for each cookie. How to Make Cauliflower Rice - The Easy Way! Is Erythritol liquid or granules? We buy it in granule form – Swerve is one of our favorite brands that you can find at most grocery stores. These are very good! Very moist. Glad you liked them! Thank you for letting us know! So I was skeptical to say the least, and I’m not new to keto! I thought this would be such a great way to use up avocados that are getting soft…I followed the recipe with the following tweaks – 1) I used reg granulated Swerve as I do not have the brown sugar variety, 2) I added about 3/4 tsp of vanilla, and 3) I added about 1 tsp of espresso powder. I suggest really cranking up the food processor to make sure all the green bits are very well blended. When I took the lid off the processor the odor was less than appealing, and the batter tasted so-so. I went ahead and baked them, let them cool and put the cookie sheet in the freezer for about 30 min. I have to say wow and wow! The taste is very chocolaty and satisfying. I’m sure they will improve overnight as keto baked goods always seem to. Thanks for a great recipe! Hi Shauna – If you’re using jumbo avocados like we did in the video then you can use one. If you’re using the smaller avocados, I’d stick with two. Hope this helps!